It was Monday after Thanksgiving, 2016. What started out to be a typical winters' day in beautiful Gatlinburg, Tennessee, Pete and Joy Jucker began November 28, 2016 as they normally would at that time of year - busy merging their 2 stores into one. This prepares them for the busy ski season at Ober Gatlinburg resort near the Great Smoky Mountains National Park. Pete spent the morning with his crew as they started the process of turning their summer operations to winter operations while Joy stayed home preparing the meals for the crews. Later that morning, while running a few errands he noticed an "orange glow" in the sky and "quite a bit of smoke ". Meanwhile, Joy headed out to their third store, and she herself noticed much of the same. It wasn't long before Joy made the quick decision to call Pete immediately to tell him to get home....(continues below). 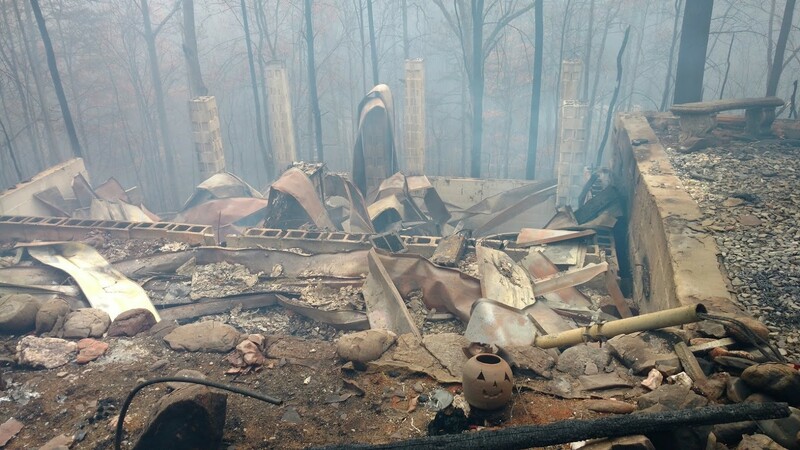 Timber Block Community Manager Penny Kiryk spoke with Pete and Joy about the day they lost their home, how they coped with the loss, and how they were determined to not only put their lives back together, but how they encouraged others to do the same. 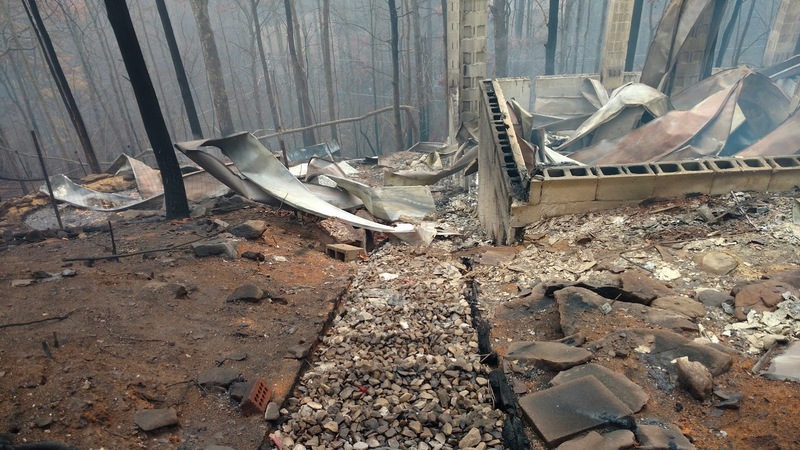 Against all odds, Pete and Joy have turned the tragic fire that claimed close to 2400 structures, including hundreds of homes into one of the most inspiring stories in Gatlinburg history. Joy - originally from Tennessee - has lived in the Gatlinburg since 1960. Pete - originally from Switzerland - arrived in the US in 1968. 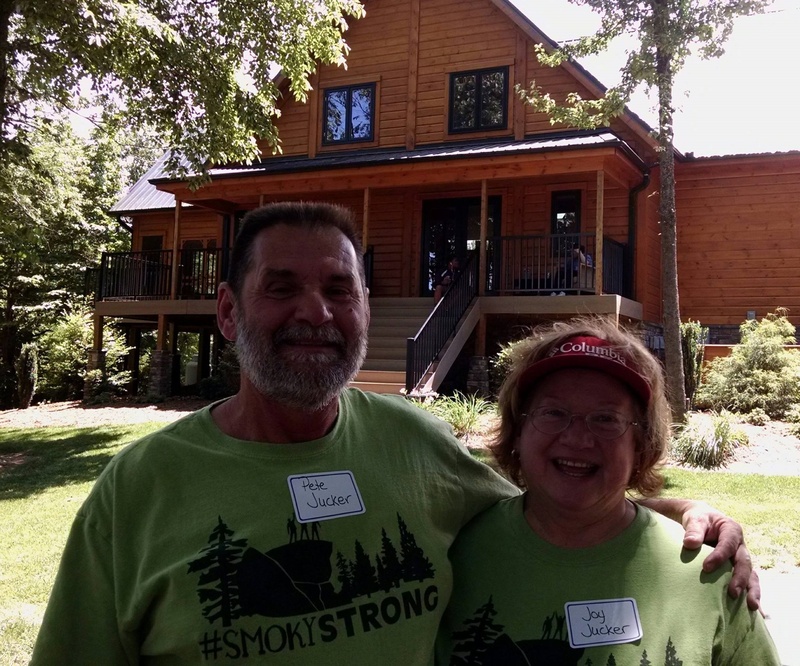 After finishing school in North Carolina, Pete ended up in Gatlinburg in 1984, where he met Joy and started their new life together in Gatlinburg. In 2003, the Juckers' moved into a 1960s, A-frame home on Ski Mountain, with a view that can't be bought. It was a dream come true for the Juckers', so much so, they lovingly named their home, "Little Bear". Fast forward to Monday, November 28, 2016. The Juckers', along with their 2 rescue dogs "Pepper" and "Gracie", and rescue cat "Sam", will lose their sanctuary, their home, their Little Bear. (The Juckers' would later on rescue a third dog, a puppy named Korbel). 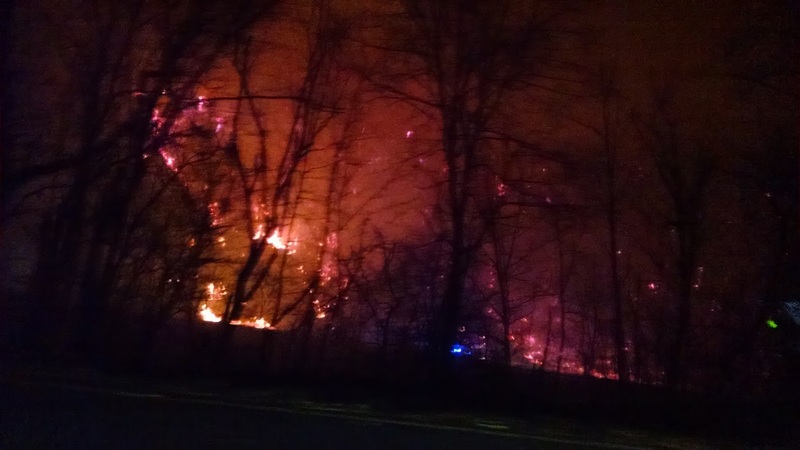 While Joy calls Pete to tell him to get home as quickly as he can, she takes a moment to snap a picture to show Pete was she was seeing, texting the words "Gnatty Branch is on fire!" (Gnatty Branch is located about 3 miles between Pigeon Forge and Gatlinburg). As Joy rushes towards her home, she doesn't see any flames at the house, but can see them just to the west, where she knew the area was already covered in flames. With the extremely high winds mixed in with the major drought the area was in, Joy knew the fire was heading her way - and fast. 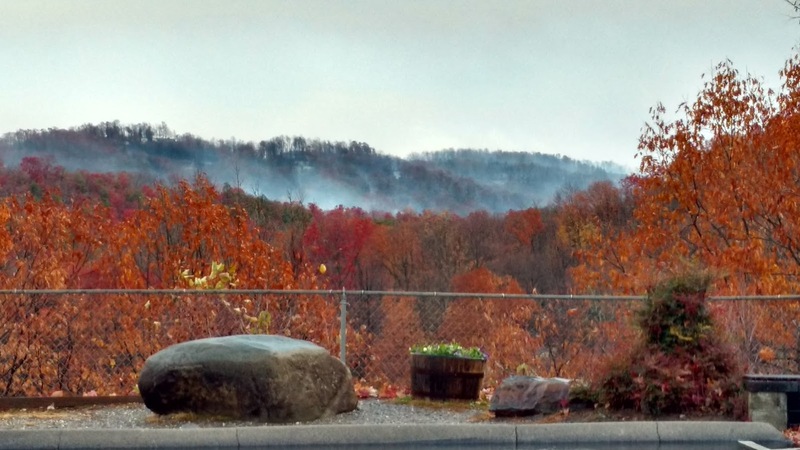 In minutes, flames were roaring up the mountainside from down below. Joy quickly gathers her 3 pets, got into her car and devastated at what was to come, drove away from the place she called home for 13 years. Meanwhile, as fire consumed most of the area, cell towers were shutting down, and the only way Pete and Joy were able to communicate was text. While Joy was making her way out of town, Pete, who was on the other side of the mountain, knew....there was no way he was going to make it home. Pete then turned around, and headed to the nearby ski resort, where the Fire Department and other emergency personnel were shuttling people to safety. Pete stays helping several families throughout the night, while Joy spent the night at a hotel in nearby Pigeon Forge. As the evening slowly carried on, mercifully, rain showers began to douse the majority of the fires, but not before leaving hundreds of people without homes - including the Juckers. Pete was the first to arrive at Little Bear the next morning. 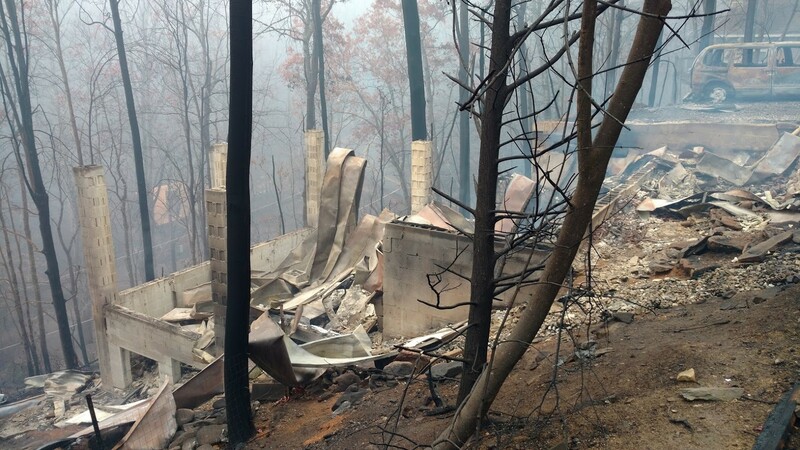 What was once their beautiful mountainside home, was now a pile of ashes and burned debris. There was nothing left. Pete was hesitant to tell Joy what he saw, and while stalling for time, as he knew her heart would be as broken as his, Pete turned around and headed back to the island to meet up with Joy. When asked how Pete felt at the time, he said it was surreal. "There was the smoke from the fire all around. Some things were still burning, and overall, I felt like there was a 'fog' in my head. I had been up all night taking care of people, and watching the fire all around the mountain. It didn't really hit me until later. I remember looking at the area that was once our home, and whispered, 'goodbye Little Bear'". For the next 3 months, Pete and Joy stayed with a friend nearby, and eventually purchased a one-bedroom home about 15 minutes away. In April 2017, the Juckers' attended a Home Show near Gatlinburg, in Sevierville, Tennessee, and were introduced to Timber Block. 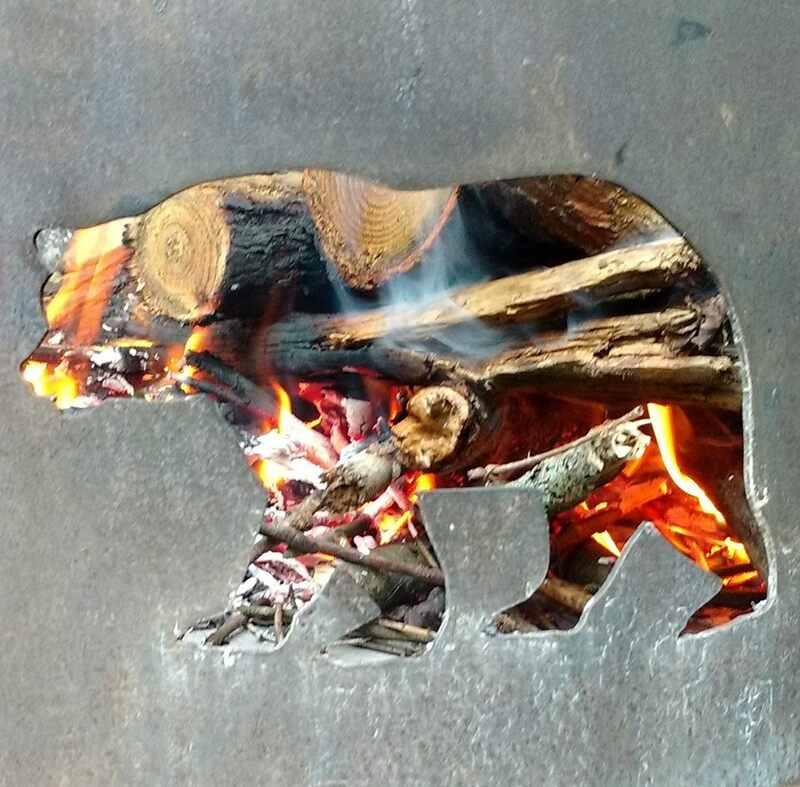 It was then and there the couple knew they found the perfect fit in Timber Block, and knew immediately this was the manufacturer that could design and build their dream home....a home that is under construction, and has been named, "New Bear". This is just the beginning. Stay posted, as we take you through the Juckers' journey, including the design phase, the wall raising and where they are today. All photos courtesy of Pete Jucker. Photo taken outside Timber Block's Connelly Springs, NC location. Timber Block's Penny Kiryk will follow the Juckers' journey from beginning to end. The Juckers' plan to move in before the end of 2018, early 2019. Stay tuned.